Cihuapilli Le Beau Rose Amador’s guest is Rudy Parris on Native Voice TV show. 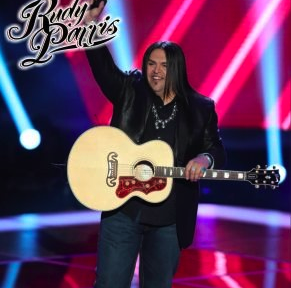 Rudy Parris (Navajo/Apache) was a finalist on the hit show, The Voice, Season 3, Chose Blake Shelton as Voice Mentor. Native Voice TV tags along as Rudy visits a convalescent hospital in Santa Clara, CA, where he performs for residents following his performance at the studio. Rudy was born and raised in the heart of California’s San Joaquin Valley. This coming Monday 11th of January, Rudy Parris will be showing at 5:00 pm on Fresno Educational Channel –CMAC 93. Rudy Parris NBC ‘The Voice’, “Rudy Parris shares his talent on The Voice”. Visit Rudy Parris’ website at www.RudyParris.com and watch his music videos.